For the third year running, Mirvac’s Broadway Shopping Centre (“Broadway”) has ranked number one in Shopping Centre News’ (“SCN”) Big Guns Awards 2015 for annual turnover per square metre (“MAT/m2”). Broadway was awarded as the leader in the MAT/m2 category with $12,248/m2, an increase of 6.4 per cent in the past 12 months. Total MAT increased 1.8 per cent in the same period to $467.3 million and specialty MAT/m2 increased 3.0 per cent to $11,477/m2. Over the past 12 months, Broadway has continued to focus on tenant remixing, adding in new retailers such as Aldi, Bonds, Bailey Nelson, Soul Origin, Dough Collective and Top Juice, which has contributed to the increase in MAT. In addition The Collection Bar was launched, which enables customers to collect, try on and return online purchases at a dedicated collection point within Broadway Shopping Centre, providing a more convenient way to receive and return parcels at a time that suits the individual. Following the already successful remixing within the Centre a development application has been lodged for a 3,346 square metre expansion which will bring in new and exciting retailers and further enhance the dining offer and amenity for customers. 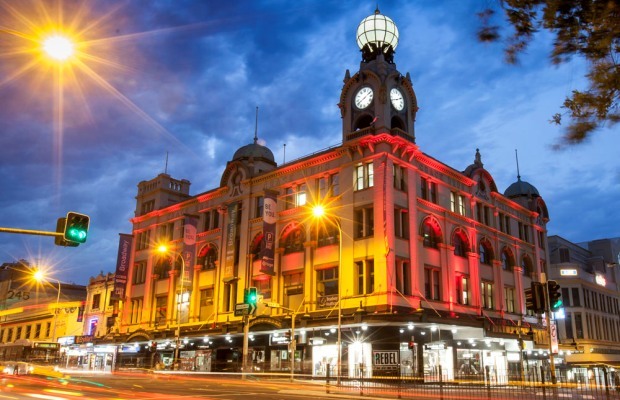 Susan MacDonald, General Manager Retail at Mirvac said, “We are delighted that Broadway has been recognised for the third year running as the number one ‘Big Gun’ shopping centre in Australia. “This award demonstrates the continued efforts of the Broadway team in leasing, marketing and operations and is the result of a well executed strategy to continually deliver a relevant offering to the diverse demographics of the community. “This outstanding result reinforces Mirvac’s retail positioning which focuses on key urban markets and we look forward to the opportunity to further enhance the offering for our customers through the proposed upcoming development.” Ms MacDonald added.